Calling all Foodies! Check Out Communispace It Is A Private Community! Calling all foodies! Are you passionate about our food’s quality, health, safety, production or marketing? Do you influence your friends and family to do the same? Communispace has created a private online community on behalf of Ketchum where you can interact with other food lovers as well as impact major food brands. For sharing your voice, you’ll receive a $5 welcome gift, plus additional monthly $10 Amazon gift codes for your participation. Thanks for sharing. I signed up with your link above! I’ll go check this out. Thanks for sharing. I signed up. I love Amazon gift cards, and it looks like fun! I have to check it out. Well, I will check that out. 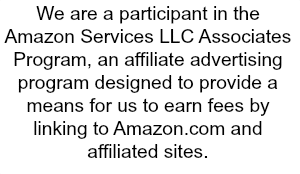 I like that you can get gift codes to Amazon just for being part of the space. I am intrigued by the concept and interested to note that Ketchum had a hand in this venture. Hmmm..must check it out. Thanks! Your so welcome, it sounds like a neat community!! !